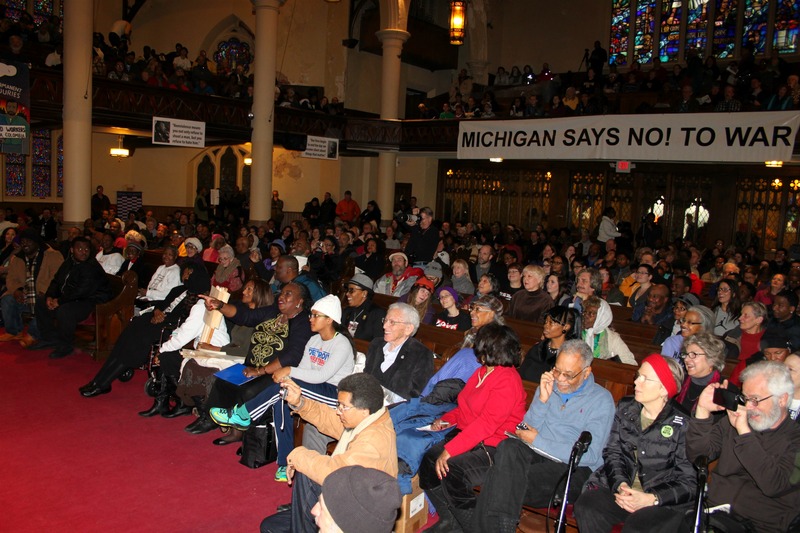 Annual March and Rally held at the Central United Methodist Church in Detroit on the Rev Martin Luther King Jr Federal holiday. On Monday, January 18, 2016, from Noon-5:30pm, the Detroit MLK Day Rally & March will commemorate the 50th anniversary of the “March Against Fear” and the “Chicago Freedom Movement” in 1966. Five decades hence we are waging a renewed battle for the realization of the ideals of Dr. King and the movement he was so intricately involved with. We will also hail the current Detroit area activists who continue the fight for justice as they resolutely draw attention to the blatant and steady erosion of city residents’ democratic rights; the violations of the basic human rights to decent work and wages; water; housing; quality education; and environmental justice. We will gather for a rally at Noon in the Church and later march through downtown at 1:30pm. The MLK Committee is calling for the broad participation of youth, students, community people, workers and retirees in this annual gathering, the largest of such events bringing together progressive forces from throughout southeast Michigan. Today we are continuing the struggle against police brutality, the destruction of public education and the theft of Detroit workers’ pensions, healthcare benefits and public assets. We are demanding the immediate release of Michigan’s political prisoner, Rev. Edward Pinkney of Benton Harbor, now being held at Marquette prison. 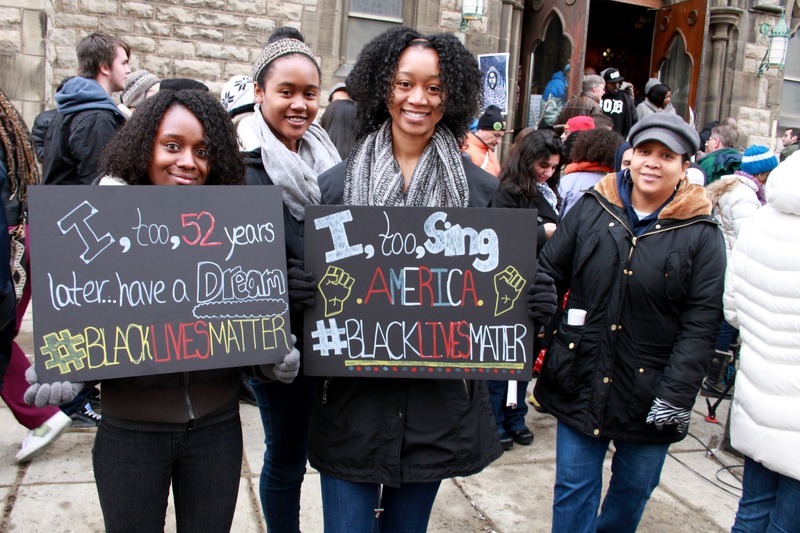 This year we are organizing under the theme: “From Michigan to Missouri, From Chicago to Mississippi, The Struggle Continues.” People across the United States have taken to the streets and campuses demanding an end to racism and injustice, for a society that respects the fundamental dignity of every human being. Our special guest for this year will be Pastor Cori Bush of Ferguson, Missouri. She is a leading activist in the movement emanating from this community which has awakened the nation and the world to the unfinished quest for civil rights and empowerment. Other invited speakers and performers include: Mrs. Dorothy Pinkney; Queen Mother Helen Moore: Atty. Alice Jennings; Detroit Active Retirees and Employees Association (DAREA); the Deep River Choir; Atty. Vanessa Fluker; Hon. Elena Herrada, of the Detroit Board of Education in exile; water activists from Detroit and Flint; Mr. Artis Johnson, President of the Viola Liuizzo Park Association, and others. Poet and educator Aurora Harris will coordinate our cultural program after the march on the second floor of the Church. The Wobbly Kitchen wil provide a community meal after marchers return to the Church. For more information on this event contact 313-405-2185. Or write to the Detroit MLK Committee, 5920 Second Ave., Detroit MI, 48202.